Christology, like our previous topics of Atonement and Baptism, is one prone to both diversity and contention. This is a significant distinction because it is nearly impossible to say anything about any aspect of christology without drawing the ire of some group, camp or school of thought. Having said that, it is vital to state that Christology is of central importance to any christian expression or practice. Maybe that is why it is so potentially contentious. Let me introduce the basics – then we will dig deeper. Christology attempts to navigate two paths which end up overlapping in a dynamic place. 1) Jesus was a man. The way that we attempt to talk about his ‘divinity’ – or as I prefer – the way that he participated in the divine … is vital to any understanding of who and what Jesus (the man) was. When we speak of ‘Christ’ we are speaking of the Logos or that aspect of Jesus which channeled, hosted, or was the Divine presence on Earth. This is not to be confused with a ‘High Christology’ and a ‘Low Christology’. ‘From Below’ means that you begin with the baby in the manger and figure out in what way he embodied the divine presence of God. ‘From Above’ means that you begin in heaven with the pre-incarnate Christ and figure out how downsized/reduced/kenosis into the human form of a baby. Technically you can start ‘from below’ and end up with a High Christology. It is just that there are a lot of steps one must undergo. That is for another time. In this series I am using two resources. Here are the entries of each. Christ, Christology. The Greek word translated in English as “Christ” is the equivalent of the Hebrew term Messiah and means “anointed one.” Although not intrinsic to its meaning, the NT use of the term Christ tends to point to the deity of Jesus. 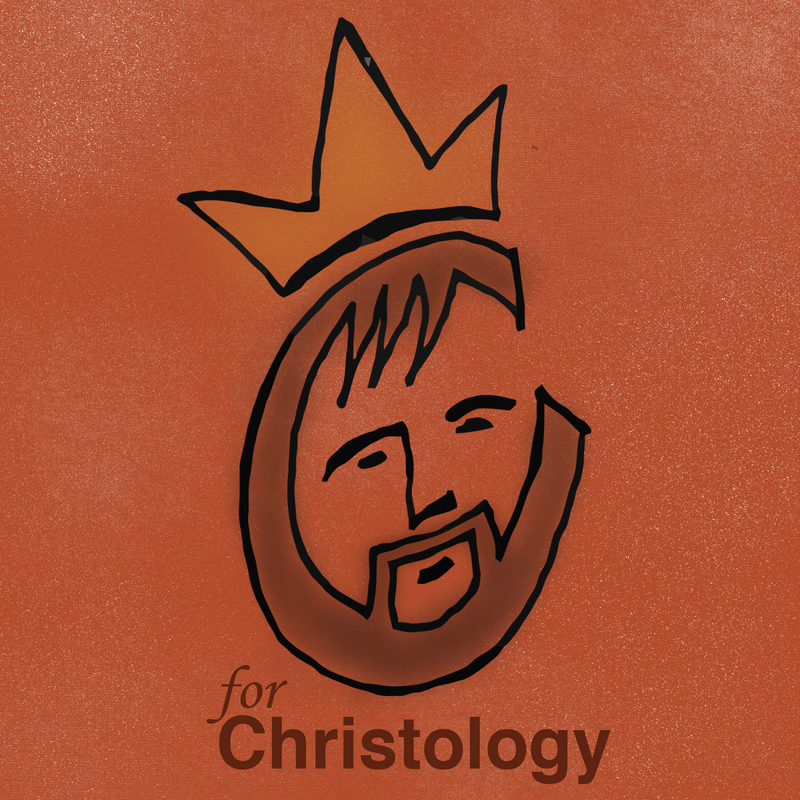 Christology is the theological study devoted to answering two main questions: Who is Jesus? (the question of his identity) and What is the nature and significance of what Jesus accomplished in the incarnation? (the question of his work). Stanley J. Grenz;David Guretzki;Cherith Fee Nordling. Pocket Dictionary of Theological Terms (Kindle Locations 240-242). Kindle Edition. Soon, however, what takes place in worship must also be expressed in theology and doctrine, and thus the question arises, Who is this Jesus? Is he divine? Is he human? Some of the earliest answers were considered too simplistic, and were rejected by the church at large as denying an important aspect of the full truth. Thus, at one end of the spectrum there were those who believed that Jesus was a purely celestial being, an alien messenger from above who was human only in appearance. This view was called *Docetism, after a Greek word meaning “to seem.” It was held by many *gnostics as well as others. We see echoes of its rejection in 1 John 4:2, where the test of orthodoxy is the affirmation that Jesus “has come in the flesh.” The opposite extreme, often called *Ebionism, held that Jesus was a pure man, born like all men, whose purity was such that God gave him a special standing or role. This too was rejected by the church at large. Thus, from an early date it was clear that Christians wished to affirm that Jesus was both divine and human, but little thought seems to have been given to how to understand and to express this. Very soon, partly on the basis of the Gospel of John, it became customary to declare that Jesus is the “Word of God made flesh-and it also became customary to refer to the Word as the Son. While this was helpful, it still left open a number of questions, particularly the question of how the Word, or Son, may be said to be divine. In the second century, Justin Martyr declared that the Word was a “second god”-an infelicitous expression that was soon abandoned. It was in the fourth century that this issue came to a head in ‘Arianism, and the process of refuting it and clarifying how the Word or Son is God led to the development and clarification of the doctrine of the ‘Trinity. Thus, by the second half of the fourth century, the general consensus was that Jesus is divine because he is the divine and eternal Word or Son of God made flesh. It now remained to clarify how one is to speak of the relationship between that divine Word and the humanity of Jesus. Granted that Jesus, being God’s Word or Son, is fully divine, is he also fully human? How is one to conceive of the relationship between the divinity and the humanity in Jesus? On this subject, there were two theological tendencies that clashed repeatedly. One, the *Alexandrine, emphasized the unity of the divine and the human to such a point that it might seem that the humanity was dissolved or engulfed in the divinity. If need be, the Alexandrines were willing to deny some aspect of the humanity of Christ in order to affirm the union of the divine and the human in him. This led to positions such as *Apollinarianism, which denied that Jesus had a rational human *soul, and which was rejected by the Council of Constantinople in 381. The opposite theological school, the *Antiochene, was concerned over safeguarding the full humanity of Jesus, sometimes at the expense of its full union with the divine. This was the position of *Nestorius, who declared that in Jesus there are two natures and two persons, and that the union of the two is one of will rather than of nature or of person. His position was rejected by the Council of Ephesus in 431. As part of that rejection, his Alexandrine adversaries underlined the importance of the *conrmunicatio idioniatum-the transferral of predicates from the human to the divine-in the person of Jesus Christ, so that whatever is said about him as human may also be said about him as divine. In 451 the Council of Chalcedon finally arrived at the formula that eventually became generally accepted by most Christians, that in Christ there are “two natures in one person.” While this did not solve the issue, it was simply stating that one must affirm Christ’s full divinity, his full humanity, and the full union of the two. Although most Christians eventually accepted the formula of Chalcedon, some rejected it. Those who followed the extreme Antiochene position, commonly known as *”Nestorians,” took refuge in Persia, and to this day there is a small church that traces its origins to that schism. Others, who followed the extreme Alexandrine position, became known as *Monophysites-that is, holding to the doctrine of a single nature in Jesus. This is still the position of the Coptic Church, the Church of Ethiopia, the Syrian Jacobite Church, and others. The Protestant Reformers in general accepted the christological formula of Chalcedon and the decisions of the early councils on these matters, but were more concerned over the saving work of Jesus than over the question of how he can be both divine and human and still only one person. Among the major Reformers, Calvin tended to emphasize the distinction between the divine and the human in Jesus, much as the Antiochenes had done earlier. Luther inclined in the opposite direction, emphasizing the union of the divine and human-although he differed radically from the ancient Alexandrines in that he emphasized the reality of the humanity of Jesus, and insisted that we can see the divinity of Jesus only as it is revealed in his humanity, his weakness, and his sufferings. Justo L. González. Essential Theological Terms (Kindle Locations 953-988). Kindle Edition. I hope that you can see both the difference in the 2 resources that I am drawing from AND the complexity of the issue being addressed. At some point we will have to address the evolution from Jesus’ Religion to a Religion about Jesus … but that is later in the series.